Your daughter looks so cute! If only our schools had uniforms. The dress code is a constant problem! 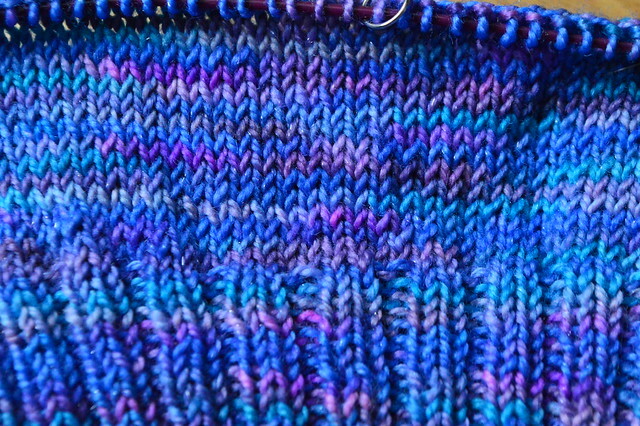 I do love that yarn, even if it's not quite that blue. How on Earth does a cat sustain bruised lungs? I hope her recovery is coming along. so sorry about your cat :( but sounds like health is on the way! Your daughter looks so proud to be in middle school, what a beauty!! My gosh, she is a cutie and so business professional chic. I can't believe she is in middle school now? I'm sorry to read about your cat; I'm not on IG anymroe so I had no idea. How did she get bruised lungs? Is that genetics of her breed or did she have some kind of accident? I like the hat! 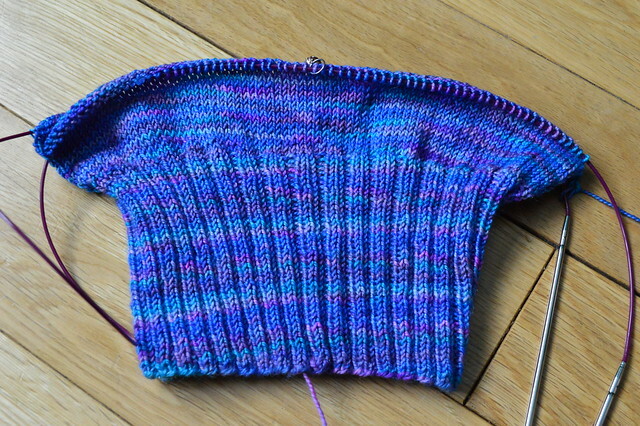 I like the idea of using variegated sock yarn for a light beanie. How horrible for her. She is a fighter. Your daughter looks very smart. 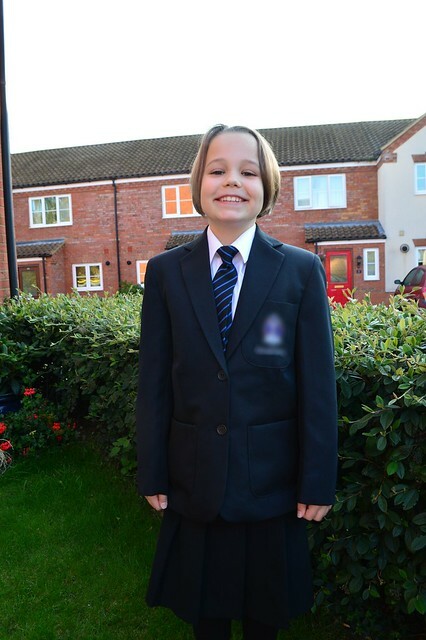 My son went back to year 3 on Thursday, but my little man doesn't start until next Monday! Love the colour you are using for your hat.